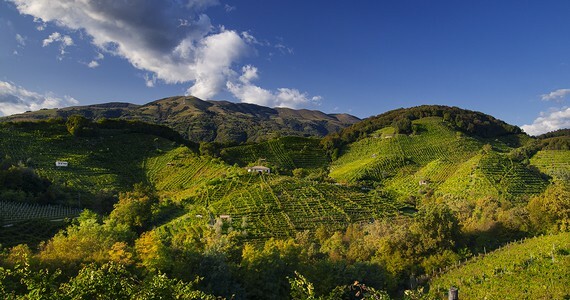 Recently introduced as a new location for Grape Escapes, our Prosecco tour offers a budget friendly break for groups looking to sample some of the best Prosecco in Italy, whilst also staying in top quality accommodation and dining on delicious traditional Italian food. 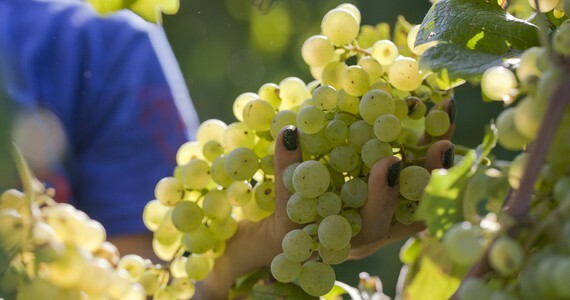 This tour also includes return airport transfers and transport to the vineyard tour, so all you have to worry about is sampling the produce! 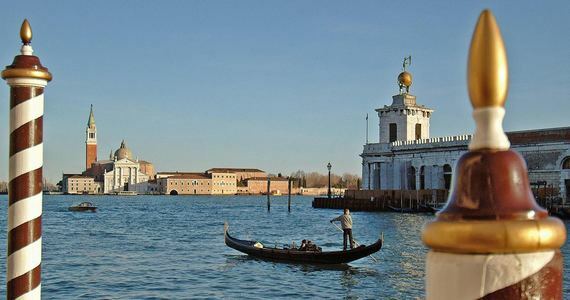 Upon arrival at Venice Treviso or Marco Polo airport, you will be met by a private chauffeured vehicle, which will take you to your hotel located a short distance from Treviso. The remainder of the day and evening will be free for you to relax and enjoy the facilities at this peaceful spa hotel. One spa entry pass per person has been included as part of your package, to use on your preferred day. In the evening, enjoy a welcome dinner in the hotel’s fabulous Ristorante La Vigna – indulge in a three course meal, to delight in the specialities of Venetian cuisine. Please note, drinks have not been included as part of the package. After a leisurely breakfast, you will be met at the hotel by a private chauffeured vehicle, which will accompany you throughout the day on a private basis. 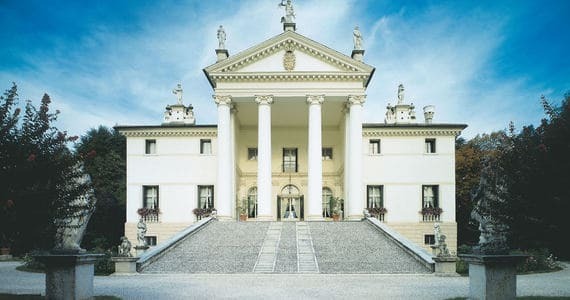 During the course of the day, you will have the chance to visit two Prosecco wineries in the beautiful Conegliano-Valdobbiadene area, where you will discover the cellars and taste the local sparkling Prosecco, as well as witness first-hand the unique bubble-making process. At one of these estates, a gourmet picnic will be served in the picturesque grounds. Before being taken back to the hotel, you will have some time to explore the quaint town of Conegliano, an authentic Ventian setting. 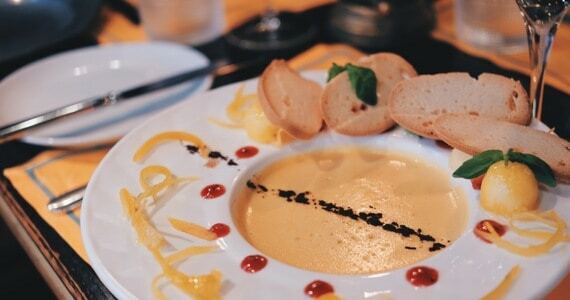 In the evening, you may like to head into nearby Treviso, for dinner and a few drinks. In your travel pack will be a comprehensive list of recommended restaurants and bars/clubs, and we would be pleased to reserve you a table for dinner if required. The hotel reception will be happy to arrange taxis for you on the day, and these will be payable locally – the journey time is around 15 minutes. You will be met by your car/coach, and taken back to Venice Treviso or Marco Polo airport in time for your return flight. This tour is available throughout the year and can generally be arranged for any weekday or weekend. Please note that the timings of tours and meals will be dependent on availability at the time of booking. The Hotel Relais Monaco is an oasis of peace and quiet located just outside Treviso in the heart of ‘Marca’.The property stands out for its elegant 19th century Venetian architecture with its new structure, designed by architect Tobia Scarpa, perfectly integrated into the historical landscape. The hotel consists of 79 rooms, including 17 suites, a gourmet restaurant offering fresh and delicious local produce, and leisure facilities including an outdoor swimming pool, sauna and fitness suite. Guests can also relax on the outdoor terraces which are furnished with sofas and rocking chairs – perfect for taking in the views of the magnificent ancient park. See here for detailed information about the Relais de Monaco. 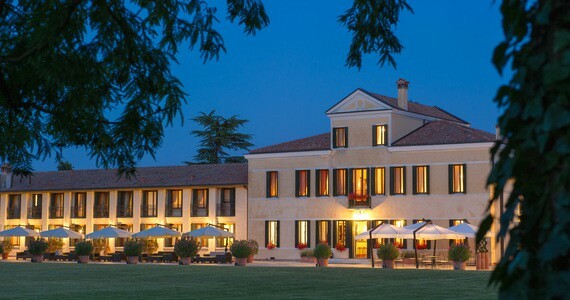 The package has been based on people sharing twin Comfort rooms at the 4* Relais de Monaco and includes return airport transfers between the hotel and Venice Treviso or Marco Polo airport, a private chauffeured vehicle for 1 full day, spa access, tours and tastings at 2 wineries, a picnic lunch, and a 3 course dinner without drinks. 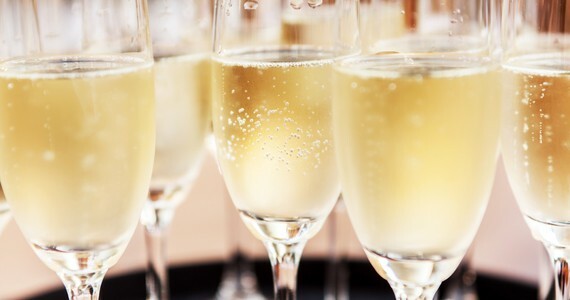 "The hotel was lovely and we really enjoyed learning about how Prosecco is made on the tours. Thank you!" Travelling as a couple or a small group? 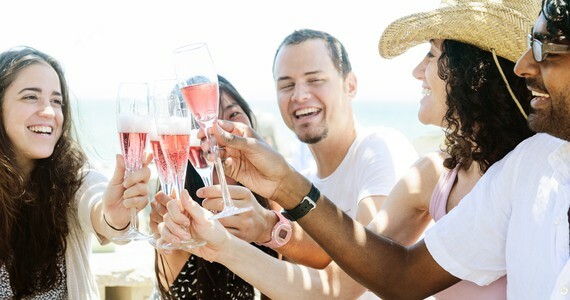 We offer a range of similar Prosecco tours for couples and small groups. Have a browse through the various options.